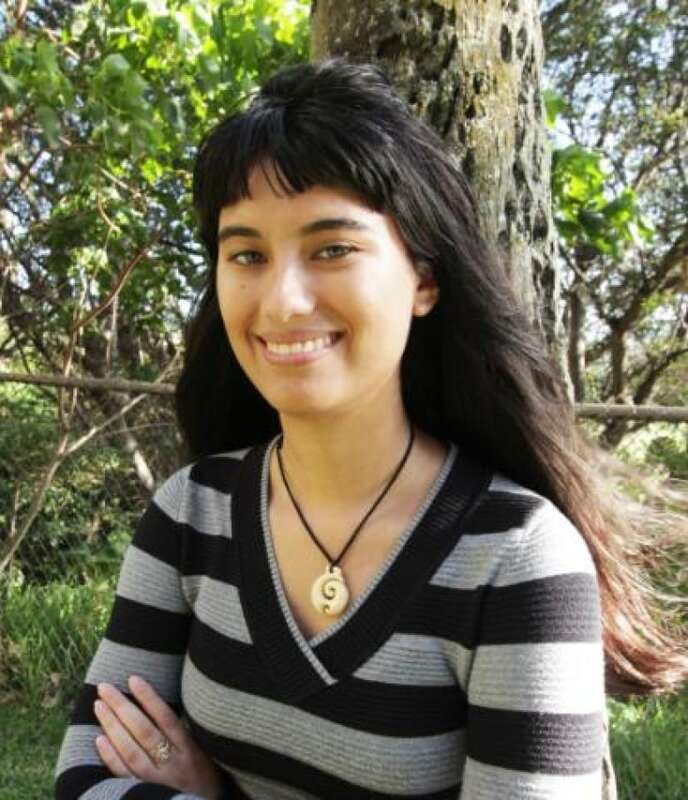 In an Ōlelo Hawaiʻi language immersion program, programmer Kari Noe found when it was time to teach coding, the class had to leave their language behind. 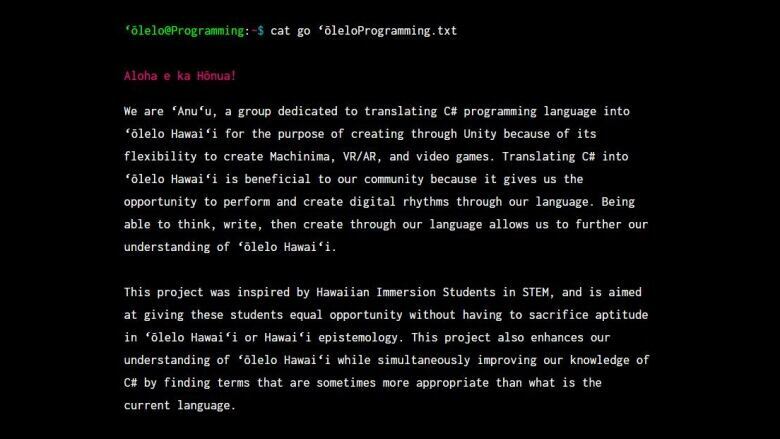 In an Ōlelo Hawaiʻi language immersion program, a group of Hawaiian programmers found when it was time to teach coding, the class had to leave their language behind. Coding language and proofs are written in English, so the Hawaiian immersion returned to English. Programmer Kari Noe and her partners decided to change that — to help those learning the language stay immersed — by translating coding language from English to the Hawaiian language. "We know that when we have to code, we have to leave our language and we have to learn it in English," Noe said. "We were hoping that … we could have it so that immersion school kids could not leave their language." It's been a challenge for Noe and others working on the project. In creating the Hawaiian coding language, they also want to be accurate — which sometimes means they avoid a direct translation. As expected, there aren't many words in the Hawaiian language for specific coding measures. The "if else" statement, for example, is that if a condition is met, the statement will run one line of code. If it's not met, it will run a different line of code. If they were to directly translate "if" and "else" into Hawaiian, Noe said it wouldn't make sense. So alongside other programmers Kalani Bright, Nathan Nahina, Kauwila Mahi, and cultural consultant Dr. Noelani Arista and advisor Jason Edward Lewis, the goal was to find words that more accurately depict the entire statement. In this case, for the "if else" statement, Noe and her team decided to use the Hawaiian word for river to describe "if" — in that in a flowing river, there are paths the water takes to get to different areas. For "else," they used the Hawaiian word for mouth of the river. "These concepts are very Hawaiian," Noe said. "Most people know the concept of a river and how it works in the different parts of the river. "We're also hoping that our translations will help them understand it rather than just trying to remember these English words and what they do." While the programming translations were initially meant to help Hawaiian language immersion students stay within the language, Noe said the programming translations can also help people who want another way to apply it, too. "Overall, we just want to make it accessible for anyone who wants to use it," Noe said. Story was updated to include names and functions of team members.